Welcome! 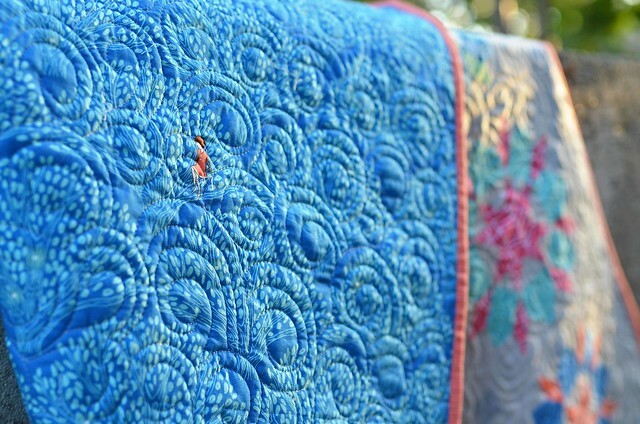 I can't believe it is already time for the Blogger's Quilt Festival again. I am so excited to see the other quilts that are entered. For the second entry into the festival I wanted a share a quilt I made for a friend's new baby girl. I love Camille Roskelley's Swoon Pattern and when she released a mini version of the pattern, I knew I wanted to make it into a baby quilt. I loved working with Sarah Jane's Wee Wander collection. It is adorable, and the print that I used for the back of the quilt is my favorite. Your quit is adorable and the fabric you choose is perfect for the pattern! Very pretty! Lucky little girl! Charming!! I love miniaturize versions of quilt blocks! The Mini Swoon is just right for a new little one! Nice of you to make it and share it with us Quilt Bloggers in the festival. This is impeccable! I finally ordered some Wee Wander and I have to say that you made a great choice of pattern for the fabrics. That is so adorable! What a great idea to turn Mini Swoon into a baby quilt (and I think the fabric choice is perfection). I love this! The quilt is fabulous! I love the pale gray, and your fabric choices are wonderful. Great job! Beautiful. 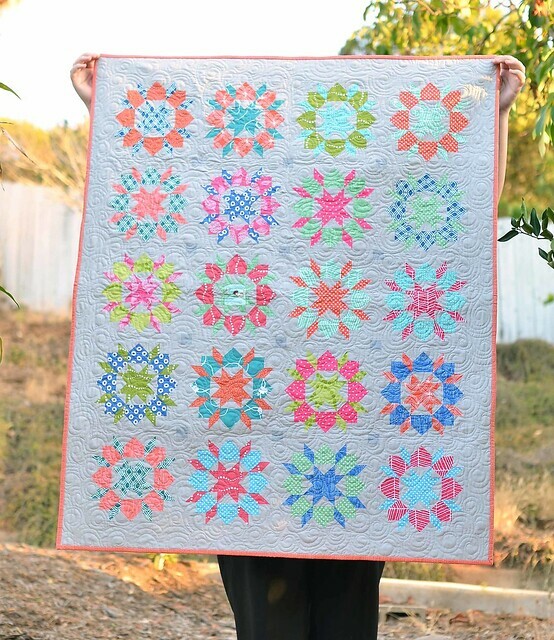 I will always love Swoon quilts, but your colours are so happy and bright it really makes the pattern sing. Nothing short of AMAZING! Love the small design of the Swoon Block! Just gorgeous! Adorable! Just bought this pattern myself. Suc a great idea turning a mini quilt into a baby quiot! Gorgeous!! This is such a gorgeous quilt! That is one lucky baby to receive that beauty!!! This quilt is just stunning! I love Swoon blocks, but the mini swoon blocks are even more lovely. Your color choices are just beautiful! I love this quilt! Pinned when you originally posted and nearly pinned it again! I love this quilt - the colors, the size - everything!! beautiful job!! I love this mini version of Swoon. I really love your mini swoon quilt! Would make a perfect baby quilt for sure!! I just keep looking at this wonderful quilt. If I were to see it in person I would pet it and hug it - honest! It is delightful in design and color.